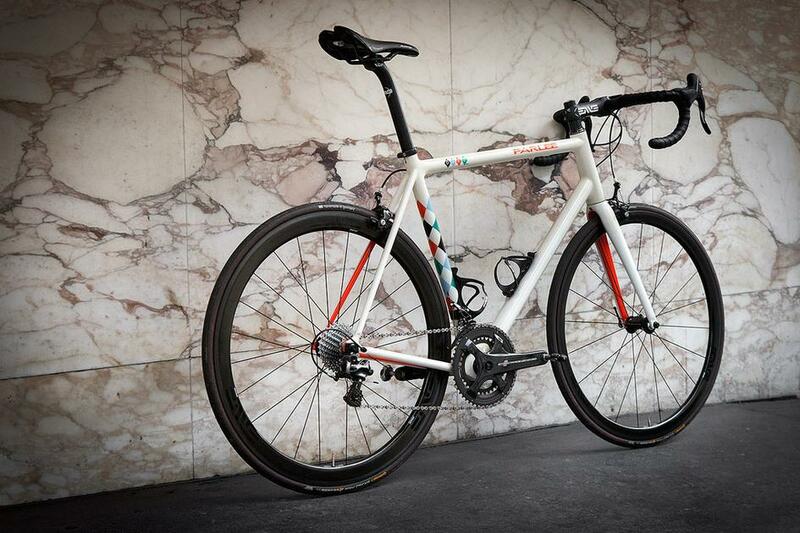 This amazing Parlee Z5sli with custom paint went out just before Christmas. It was very busy at the time, just before everyone went their separate ways for the hoildays and so we never had a chance to shoot the bike. We asked David if we could talk to him about his build. Every custom bike tells a story. 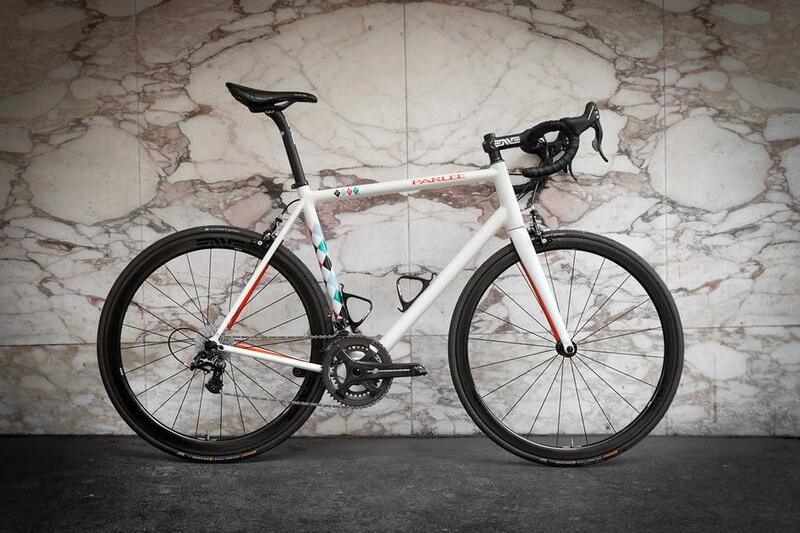 This is the story of David and his Parlee Z5sli. David Pearl is a performer, keynote speaker, author, father of two and cyclist. Coming from a performance background based in opera, David has spent much of his life integrating the arts with business, looking to build connections that can improve business life, communications and creativity. All the while he has continued to perform with his improvisational opera company Impropera. Mindfulness and the awareness found in cycling helped to inform his co-founding of Street Wisdom in 2012, a non-profit venture that sees participants take deeper stock of their surroundings and gain extraordinary learning from ordinary streets. David admits to being relatively new to cycling, though in the last couple years his thoughts turned to getting himself a really decent bike. "Cycling is both connective and a leveler, it forces us to reassess our relationships with ourselves and others. I've met some incredible people through cycling, and it's something that's really important to me." 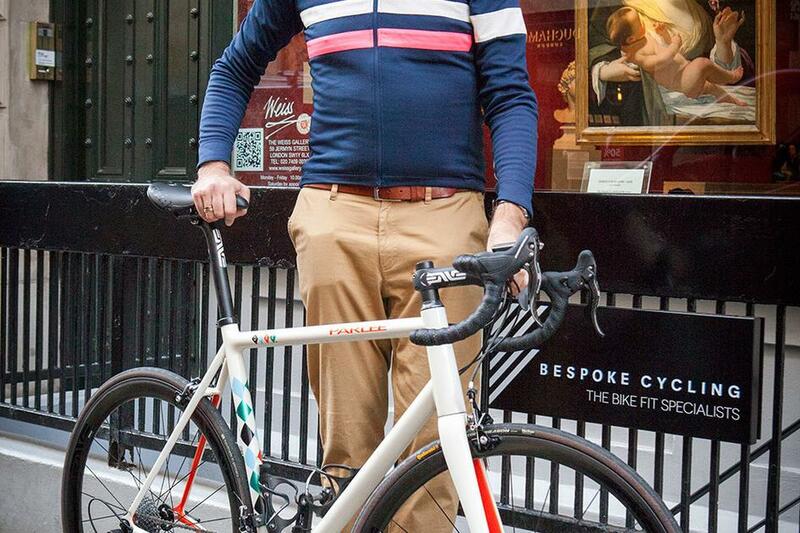 David came to Bespoke to start the process of building his dream bike. Having worked closely with Ben Hallam on getting the perfect fit, a process which David related to very well, reminding him of the physicality of theatre, he moved on to choosing a bike. I wondered what had drawn David to Parlee: "I'd seen a a couple around and people had always spoken very highly of them, so I did some research. I like the story, the values, the indie nature of Parlee." Everyone that has seen the finished bike has been struck by the unusual custom paint job. "I'd never even thought about the paint, but once the process began I was thinking 'What are my values?' Harlequin has been something that's always been important to me in my life, in my work." 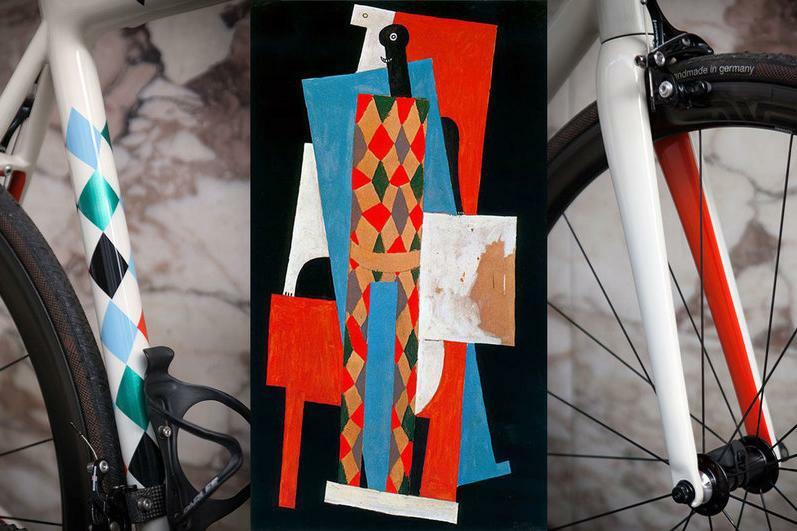 David provided Parlee with a photograph of Picasso's Harlequin painting of 1915 as reference. The harlequin, coming from the Italian commedia dell'arte of the 16th century, is an anarchic, playful and physical character, and something that David clearly has an affinity with. The rough and random shapes of the diamonds on the down tube and top tube emulate the sewn patches on the harlequin costume. "I love that it's imperfect, people find it confusing, but that's what life is like. The finish is very human, it's not machine made. It also speaks to me about the creative artistic dimensions of cycling, it's not just about sweat, grit and tears." 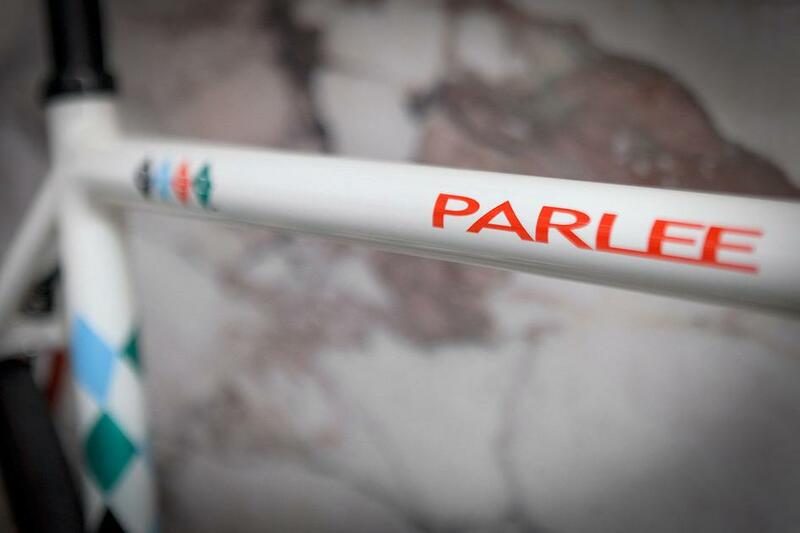 Parlee matched the colours with the Picasso reference material and worked with David on other aspects of the finish, such as the orange inside the fork blades and the 'ghost' logo on the headtube. The frame is truly unique and a reflection of David's personality. 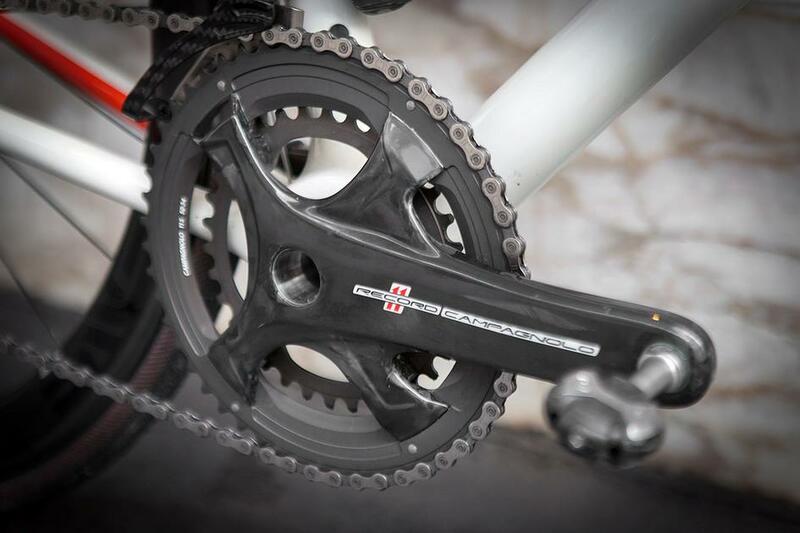 For the rest of the build it had to be Campagnolo, though David chose to avoid electronic shifting feeling it wasn't really something he needed. ENVE 3.4s with black decals give outstanding all round performance though without spoiling the looks. ENVE finishing kit and a Fizik saddle keep the cockpit dialed. David spends his time between North London and Piedmont, Italy, and has a busy schedule but ensures he has at least one good ride day a week. He describes his first experience of riding in the Italian mountains as near religious, relating how he met his family at the top. "The kids were just stunned by how long it had taken them to drive to the top. It was an amazing feeling". He looks forward to riding more mountains on the new Parlee and reaching new heights, inspired by his highly personal custom dream bike. So, if you find yourself in the Italian hills or in London's city streets, if you keep your eyes peeled, you might just see the harlequin passing by. As always, you can see more of this amazing bike in our build archive. All photographs by Bobby Whittaker.